Click the “Plugins” menu item in the left-hand dashboard menu. Click the “Activate” button to activate the plugin. For more information on how to install plugins, visit the plugins documentation. After activating the plugin, click the “Formidable” link in the left-hand admin bar. You can load a pre-built form template, or drag form fields from the right hand field list into your form editor on the left. Drag the desired field type from the right hand gallery to the left hand form editor. The field options box will be displayed. 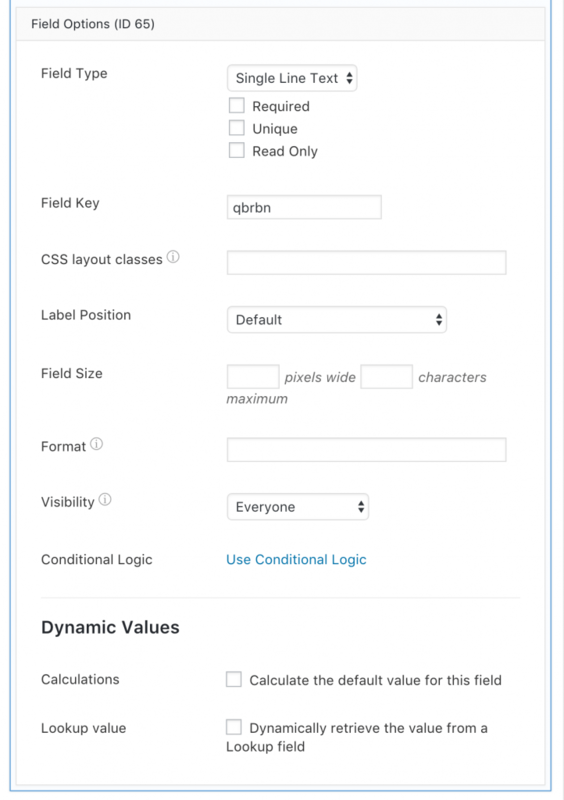 Give your field a description and click “Field Options” to further customize the field. 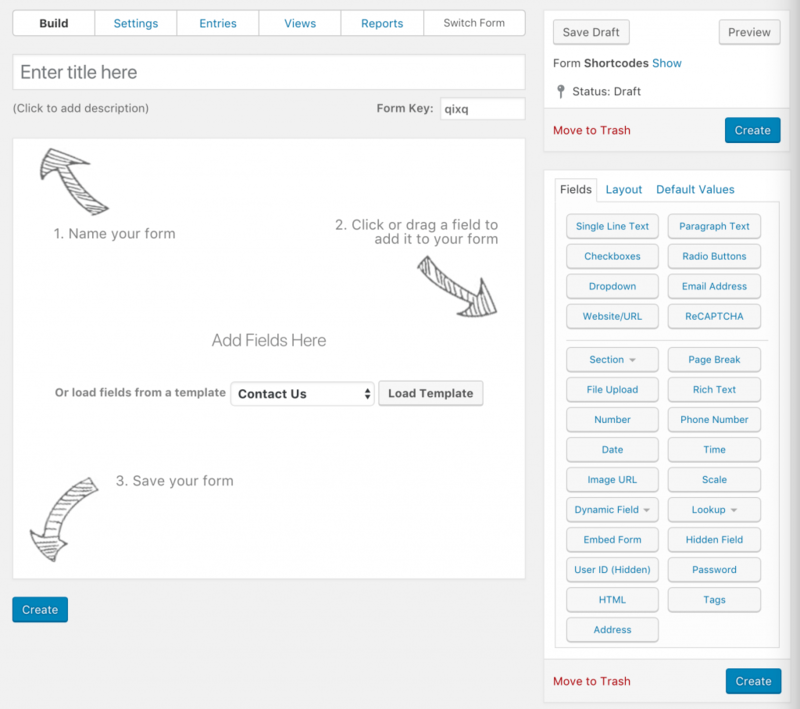 The process for other types of form fields is relatively similar, but may have some slight variations. 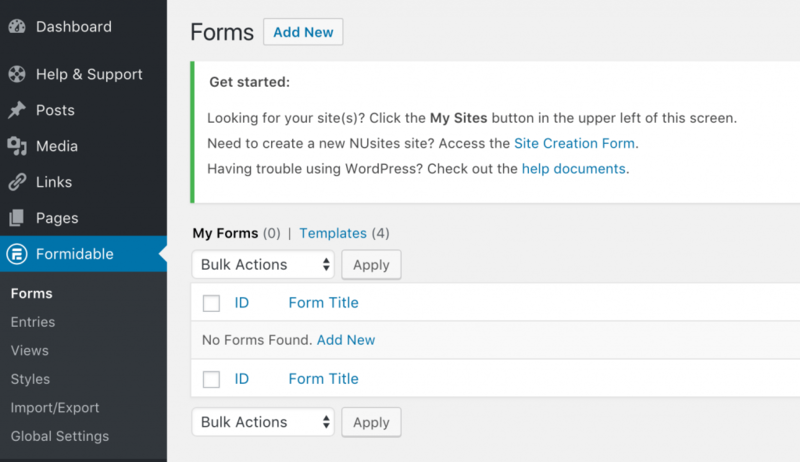 For a more in-depth look at the Formidable Forms plugin, we recommend checking out the developer FAQ. You can customize what happens after a use submits their form. In the form editor, click on the “Settings” tab in the top menu of the Formidable Forms editor. Adjust what is displayed once a user submits. You can show a message, redirect to a URL, or show page contact. These settings adjust how the form operates on your page. It is unlikely that you will need to make adjustments here. You can restrict who has access to these forms and how their submissions are limited. 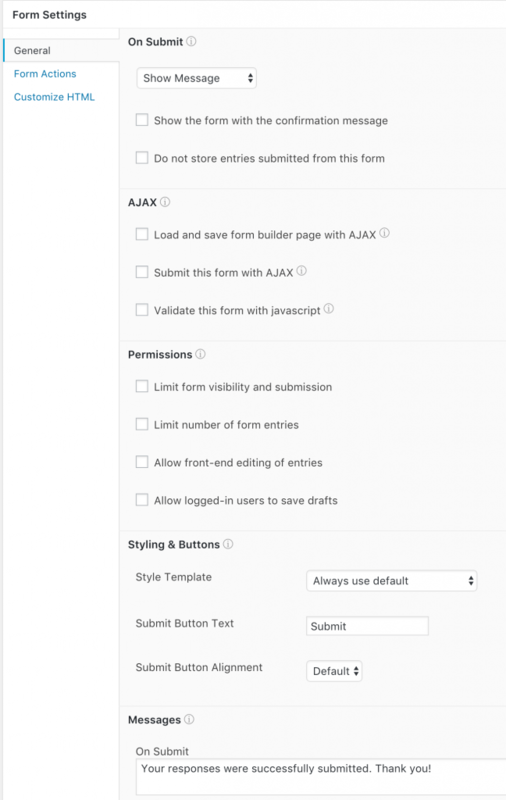 There are limited options here for customizing the appearance of your form. The style template will allow you to override the way your theme handles forms and use the Formidable Forms default appearance. You can also change the text that appears on the form submission button and adjust how the button aligns with the page content. If you select “Show Message” on submit, this is where you will customize that message. Here, you can adjust what happens when a user submits a form. On Northwestern Sites, you will have the option to have forms trigger emails, or create posts. Consult the Formidable form FAQ for more information on form actions. Click the “Formidable” link in the left-hand admin bar. Click the “Entries” tab to a screen where you can view all the submissions and sort by which form they belong to.